Managing property couldn’t be easier! Find out the amazing benefits available to you by working with us via the various rental management options. Need a hand with some things? Let us help!. Prefer for us to handle it all? No problem!. 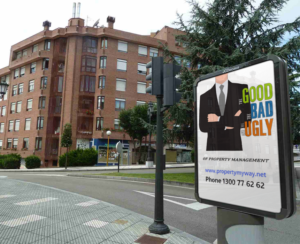 Find managing your property UGLY? Entirely flexible. YOU remain in control. Take Control at Any Time! The Best of Both Worlds!. PropertyMyWay: Your most flexible option to professionally manage rentals. Our Online Property Management Software, combined with our various professional service offerings gives you the most useful and cost-effective solution on the market. With PropertyMyWay you have access to the most versatile and functional options that enable you to either completely manage your properties yourself, or by working WITH us, stepping up your convenience even more!